Ok, moment of truth. Time to look at the effort I've put in over the last four weeks and see if any visible, measurable progress has been made. Before I get to that, though, I have to say a couple things about this past week, also known as transition week. Next up: Isometrix. This workout was gold, baby, pure gold. My balance still isn't stellar, but I LOVE Isometrix. I miss doing it. I'm actually a little bummed that it's only in the transition weeks in the Classic schedule. Finally: Pilates X. I've decided that for this round, at least, this is the workout to hate. I'm actually considering subbing it out for Pilates from Fix Extreme. Hated every second of this one...which - given how much FUN I've been having - was quite the letdown. 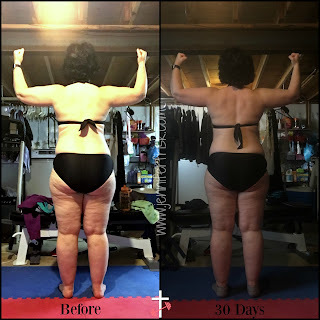 Ok, ok, I know you are anxious to get to the 30 day results, enough stalling! Ha! OK, now I think I already said this after the first week, but it bears repeating. 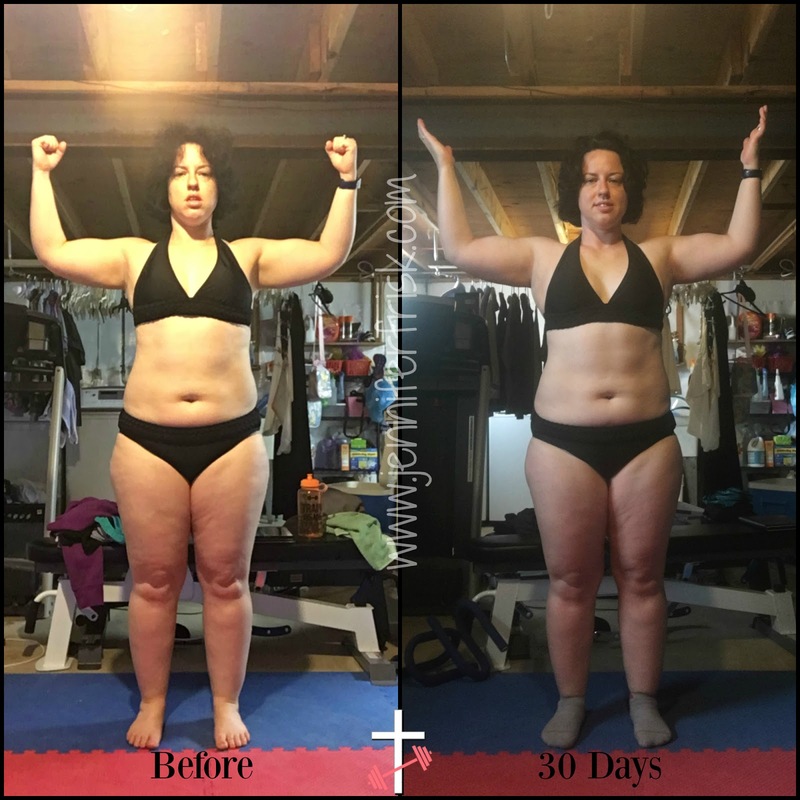 I am NOT proud of the before pics, not by a long shot. I am so far off from my best, it's not funny. That being said, the important part is that I halted the slide, finally. The important part is I'm back to following a program that works for me. The most important part? I'm making progress again! Is it drastic, knock-your-socks-off progress? Not yet, but I bet after 90 days it may be. What do those numbers tell me? They tell me I need to get a tighter rein on my nutrition. I'd been trying to follow macros, but I think the Fix eating plan is better for me as there's very little "wiggle room," and my mentality needs that structure right now. So - with the exception of my birthday weekend - that's the plan for the next block. The other thing these numbers tell me? Despite being slow, at least they are going in the right direction! I'll take it! Now, let's turn our attention to the pictures, shall we? 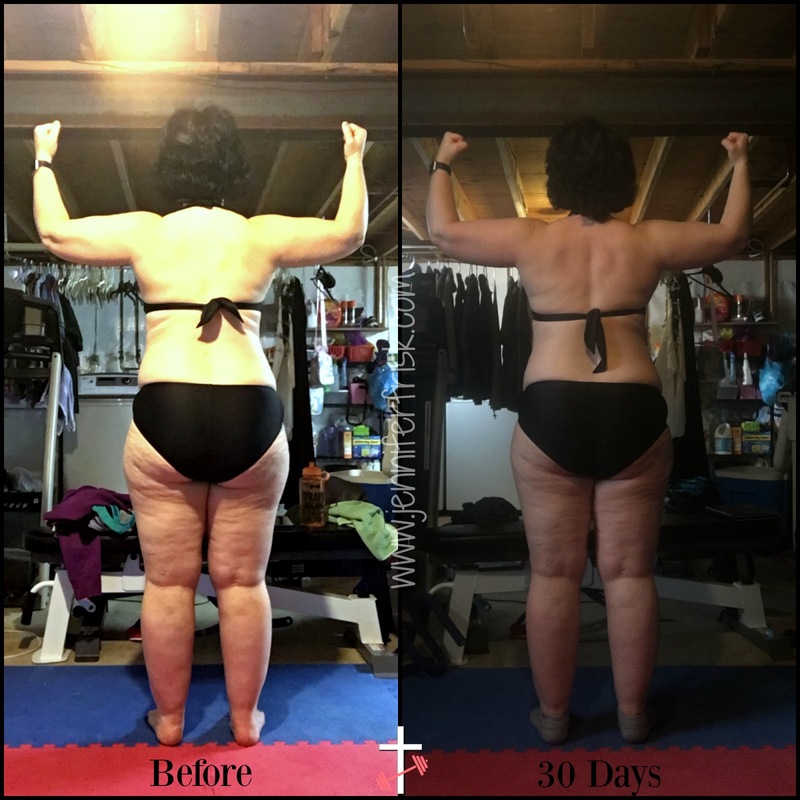 First off, I see a change in my muscle tone, especially in my abs and my back. I also see - though the number doesn't support what I'm seeing so much (should have done abdominal measurements, but...next time!) - I also see a little pulling in of my waist. I notice my bikini bottom is covering a little more of my rear end. That's a big score in my book! Speaking of bikini bottoms, there's also less overhang from my belly in the front. Finally, in the back? There's less fat under my shoulder blades. I would be remiss if I didn't talk about the mental effects of the last 30 days as well. I am more confident. I walk with my head held higher. I am sleeping better and more deeply. I have been waking up rested. I look forward to my dates with Tony, and - aside from Pilates, haha - I have been having a TON of FUN! The physical results may not be earth-shaking, but I am pretty dang happy to see any progress at all! And the mental effects? It's been a long while since I felt this good. Bring on block 2; let's see what I can really do!! Can we talk about YOU now? Where are you right this moment? 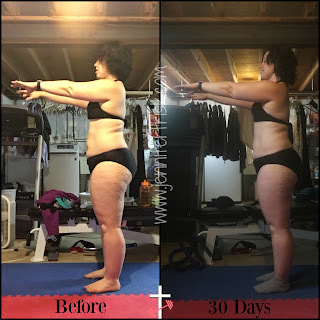 Are you happy with your body? Could it use a little "tweaking"? Could you use a little confidence boost? If that sounds like you, fill out the form below. 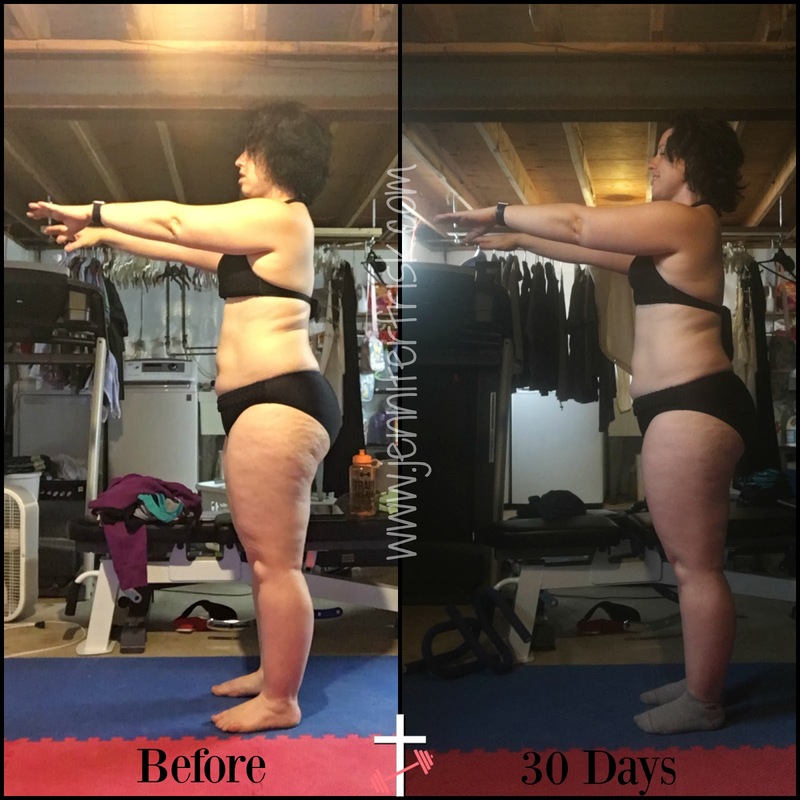 Let's get you into my next Journey Group and get you on YOUR way to feeling fantastic!